A couple of years ago I posted a piece on how to prep the bike for the first ride of the season, with tips courtesy of our local dealership. 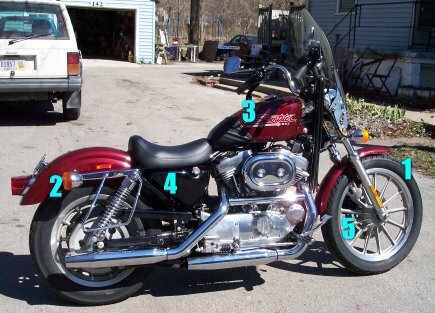 This year, I noted a round-up of bike cleaning tips in the latest issue of the Harley Owners Group magazine, HOG, and thought they were worth sharing. Two caveats: of course, the article itself was full of references to and recommendations for Harley-branded cleaning products. I don’t personally invest in all of those, but I do admit I really like their “Sunwash” product. 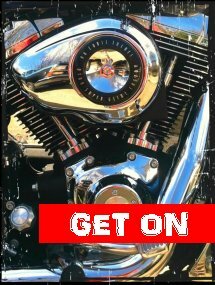 And, there are likely tips and techniques you’ve gathered over the years that work best for you – maybe you don’t feel the need to baby the bike so much and just want to occasionally get the bugs off. That’s cool (because that’s honestly how I do it)… but the only hard and fast rule of bike cleaning should be this: “First, do no harm.” Meaning: sometimes it’s good to just recalibrate your brain and make sure your bike-cleaning short-cuts aren’t causing damage. Don’t get dirt in your cleaning products – I think this means if you drop the polishing rag on the ground, get a different one. Don’t use rags that contain nylon – because it’s abrasive. They recommend micro-fiber, which for the record, I hate. Don’t use common household detergents – again, because they’re abrasive and have chemicals that can react with your bike’s surfaces. Don’t wash your windshield with gas station fluid, which is formulated for glass. Don’t blow dry your bike with a leaf blower – because they blow dirty air. That’s assuming you use the same leaf blower you use in the yard. Maybe if you had a leaf blower just for the bike? Don’t use car products on your bike – or at least, read labels carefully. Don’t use nylon scrubbing tools on your bike. Now it’s your turn: Add your bike-cleaning Do’s and Don’ts in the comments! 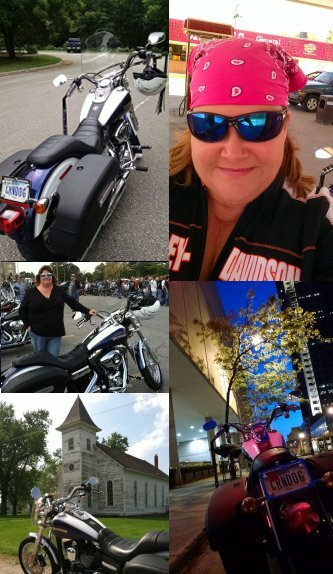 One of the items on last night’s agenda was a report from the Big Barn Harley-Davidson service manager, who gave us a short list of the five most important items to check on the bike as we get ready to ride this Spring. Certainly this info is helpful to all riders, so I thought I’d share it here with thanks and credit to Tom Reed for sharing his expertise! 1. Tire pressure. The single most common reason for tire failure, says Tom, is inadequate tire pressure. 2. Indicator lights. Make sure your signal, brake and headlights are functioning, and replace non-functioning bulbs. 3. Gasoline. “Old gas” is bad, m’kay? Especially for carbureted bikes. What’s old? Tom says gas starts to deteriorate in the tank within three weeks. If your gas has been in the tank since last fall, time to siphon it out and replace it. 4. Oil. 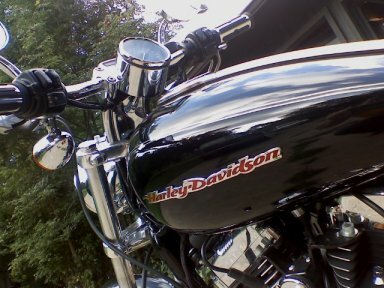 Start and run the bike for a few minutes, then check the smell of your bike’s oil. If it smells like gasoline, you’ve got fuel leaking into the oil tank and the oil should be replaced. Tom says an oil change is likely a good idea anyway – your owner’s manual probably recommends an oil change every 3000 miles OR every 3 months. That includes time the bike’s been sitting in the garage, waiting for good weather. 5. Brake pads. Look for wear and replace if needed. Some groaning/squeaking of brakes is normal on the first ride of the season, but the noise shouldn’t last. If it does, time for a service call.